Roller skating is a great way to have fun and get exercise, and at Rainbow Skateland in Lockport, NY, kids and parents can rest easy knowing they are enjoying a safe, clean environment. But every activity comes with risks. Here are some skating safety tips to follow at any rink. Use Your Eyes. Look where you’re going, even when you’re skating backwards, and be aware of objects and other skaters in your path. Keep an extra eye out for younger kids or anyone who may have fallen. Follow the Rules. This means don’t throw things, push and shove, or trip other skaters. Always skate in the same direction as everyone else. Obey the Rainbow Skateland staff at all times–they are here to make sure kids and adults stay safe while having fun. Dress for Success. Wear comfortable clothing you can move freely in, but that does not drag the ground. NEVER skate without socks. 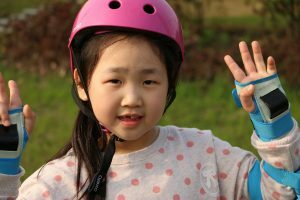 Safety equipment like helmets and knee pads are optional at Rainbow Skateland, but don’t be afraid to wear them if you feel more comfortable! With a little extra attention to safety, we can all make sure everyone has a good time and stays safe! 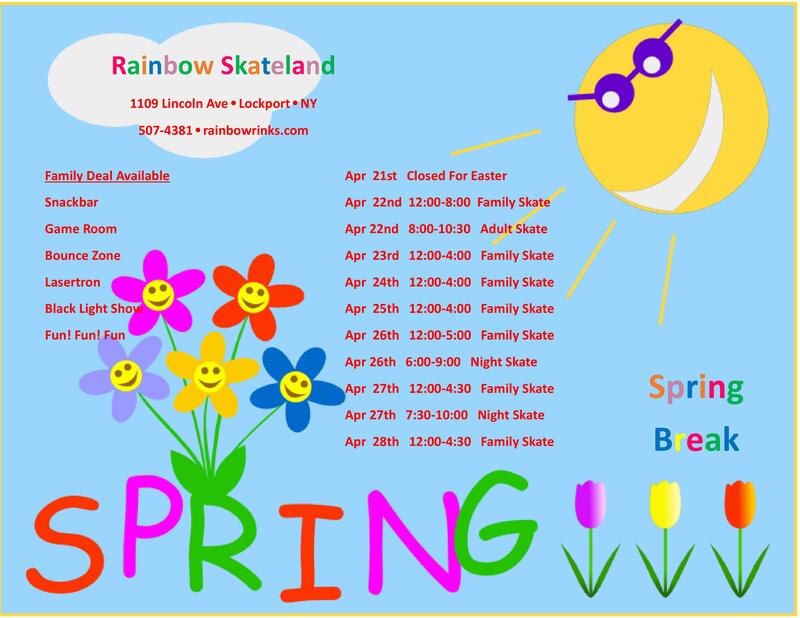 Parents, feel free to contact Rainbow Skateland with any questions or concerns. We’ll see you at the rink!